Disclaimer: Summary may contain spoilers if you have not read Nightshade or Wolfsbane. To read those reviews, click on the links. If you've read Nightshade and Wolfsbane, then you know how awesome this trilogy is. (If you haven't, go buy them and move them to the top of your to-read list.) I was thrilled when we had the chance to read the first chapter of Bloodrose early, and I knew from reading it that this book would be incredibly intense and just as amazing, if not more so, than the first two. And Bloodrose did not disappoint. Bloodrose begins just after the events of Wolfsbane. I don't want to say too much and give anything away, but I will say this. Bloodrose follows Shay's quest to retrieve the Elemental Cross to use to defeat the Keepers. In this final installment, almost nowhere and no one is ultimately safe, and time is of the essence. And despite the battle raging around her, Calla still has to decide who will be the alpha at her side. And then there was the love triangle. There are scenes that made me sigh, scenes that made me swoon, scenes that made me want to yell, "Just pick him already!" Both the tension and the love were palpable. In the end Calla does make a choice...and I think I will leave it at that. Bloodrose will make your jaw drop, will tear at your heart, and will make you laugh and cry. 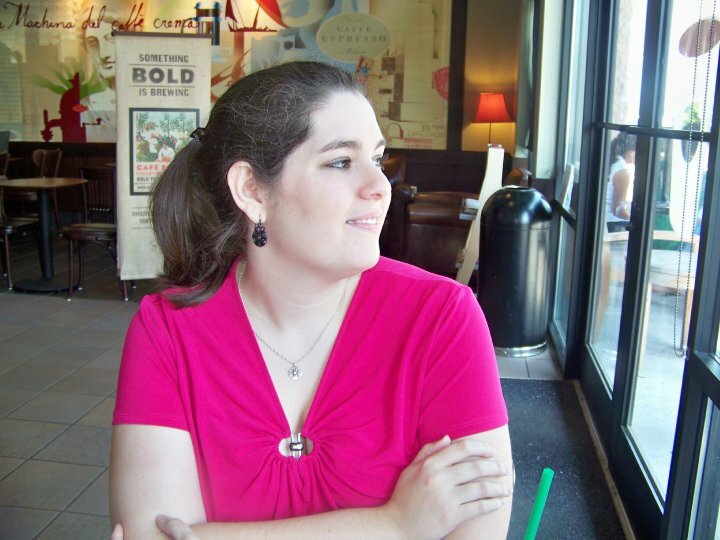 And for those of you who love the Nightshade world as much as I do, fear not - Andrea has plans to write not one but two prequels to the trilogy! I cannot wait to read more from her! I need to read the first two books in this series because I keep hearing wonderful things about it. Great review! I completely agree with your comment "Bloodrose will make your jaw drop, will tear at your heart, and will make you laugh and cry." YES it will! I love this series! Oh my gosh! 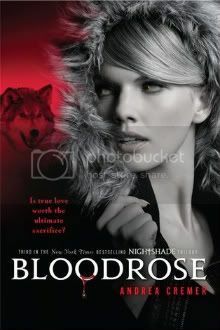 I didn't realize Bloodrose was going to the last in the series! Though I didn't enjoy Nightshade that much, I thought Wolfsbane was much better, and I'm very excited for this to come out-what do you think of the new cover design scheme? I am so jealous that you have already read this. I am so anxious to get my hands on this next week. I didn't read your review because I didn't want anything to spoil Bloodrose for me, but I did see that you rated it highly which makes me happy. I think Cremer has a worldbuilding gift - I can't wait to read this one to find out more about this world!